I will be having this fun all day tomorrow...sitting around in a huge room waiting for my name to possibly be called...or not! Oh such fun! I have been dreading it coming up, and now after my 5:05pm call to see if I will be serving or not...I WILL!!! Well, a day off work isn't quite worth it! On the bright side, maybe I will get to do a real interesting case and have a different kind of experience! Just a happy October 1st greeting to you all! This morning I was feeling sad over the financial crisis in this country, and I got to thinking about how happy I am to have my wonderful and FREE, hobby of blogging! Then I started to think of any possible hardship on Google as a company, and how it has the potential to affect our Blogger! That got me to thinking about how much I would miss you guys if I didn't have you anymore!!! I just want to tell you that it will leave a huge hole in my life and heart if I can't communicate with ya'll. If anything happens and we lose communication, whenever we can re-hook up, I will still use the same name "A Succulent Life", so you can find me. The other consideration is our phone companies and DSL providers...any of these things can be affected. OK...now that I have told you this, I feel better! Hopefully, all will be well. I am only looking into possibilities in my mind this morning. Take care...and hopefully I will be able to "see" you tonight! I did not have a cactus to show you today, but found all these babies in my strawberry pot, and found them to be quite beautiful. I hope you enjoy them! I have recieved an award from both Soulbrush, and Water Blossoms (see links). If any of you bloggers in my links would like to have this award and pass it on to your fellow blogger friends, please do! It is an awesome award, I'll say! Thankyou to Soulbrush and Water Blossoms!!! Today I got the family tea towel that hangs on my pantry door, updated with Emily's name (our newest granddaughter)! Just a note to our children...I still have room for more names!!! Hint, hint, hint!!! LOL. 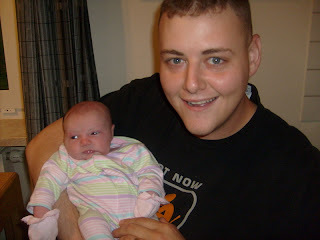 My son, Brent, with new daughter, Emily June! Note his twinkling eyes, while holding his second little pride and joy!!! This is the debonair big brother to Emily...Donovan! 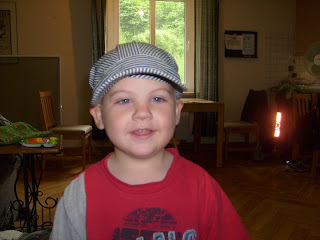 And you can see what a lady killer he is gonna be! (Grandma thinks so for sure)!!! I have just returned from dinner with family and friends...had a delicious dolphin reuben sandwich! Now I am settled in for the big debate that starts at 9pm EST here. I can't wait! This political stuff is a lot of fun at times! Hope ya'll can watch it tonight. My sweet Mom bought me about 3 Periwinkle plants today...what a sweet mommy!!! They are about the color in this picture...quite pretty! I think I will plant them in the ground around my sux tires so I can see them out my kitchen window! I had a hellovaweek at work. It was ball busting. I'm tired. Worn out. Exhausted. 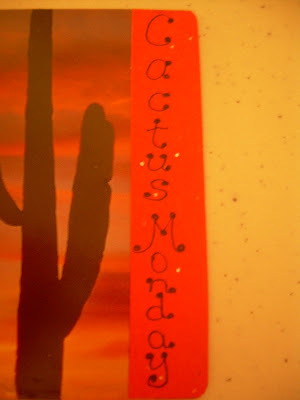 I hope to have a really great post for you all soon...as well as a new Cactus Monday offering coming up. 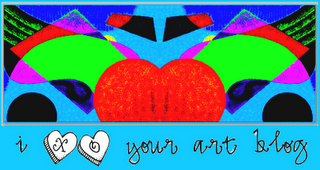 My floors need mopping, but I would rather be an artist. Grandiose ideas??? YEAHHHHHHH. That will never happen! LOL. A meme for couples, as seen at My Little Box of Things and Stuff. These questions are in relation to my husband and I. If you wish to do this meme as well, please do...I would love to read your answers!!! Me. BUT...he drinks more beer! Him...6'1", compared to me at 5'7"
Him...we just recently found out...he has a rich deep voice when he sings! Him, he has a steel trap mind, and a photgraphic memory! I take Ginko, OK??? Usually him...I am anti-cooking...although I am trying to stay home more now, rather than going out, due to the state of the economy! I know at this point you are wondering just what exactly I do! Well, the answer is: Just all fun stuff!!! lol. My Mom...his Mom is in another state. Both Dads are deceased. He gave me a kiss on the cheek after our first date! MEEEEEE...I can cry over anything, anytime! Equal. We both do what we want, but generally neither of us have any problem with that. I just want to know! Is he a comedian? 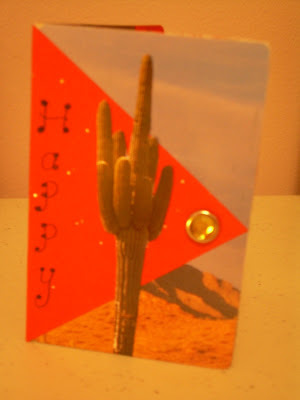 OK...this is sheer madness...but the idea came to me to make a tri-fold ATC card with a cactus theme. 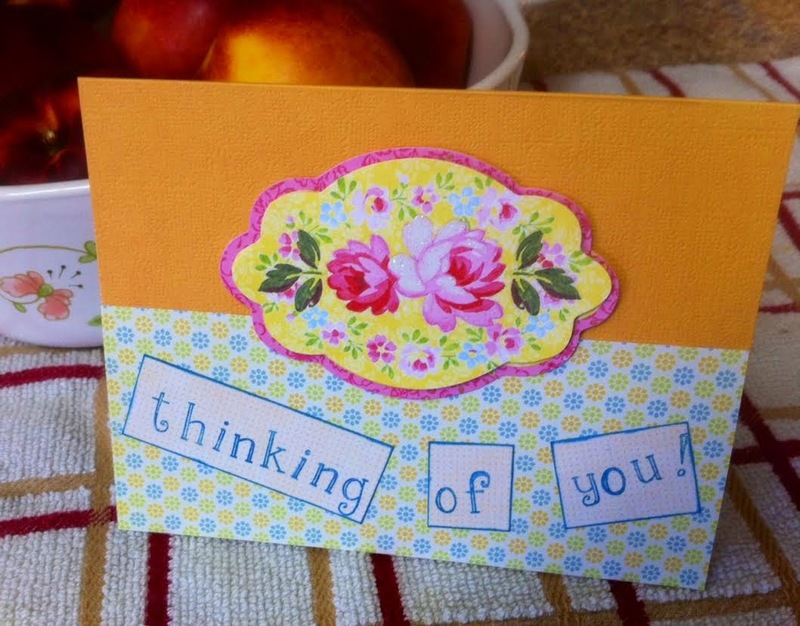 I ended up cutting off the third fold, and it turned out to be a mini card the same size as an ATC (3.5 x 2.5 inches). Don't even ask me why I decided to add this lady with her big hair to it, but I thought she was so cool, I just had to. I gave her the flower in that big doo, too. LOL. I enjoyed making this crazy little card! Happy Cactus Monday everybody! It is hard to see the writing on the edge, so here is a close up of just that. Sorry the lighting is so shi--y! (I mean crappy)! Well, I made the pumpkin soup I posted about a few spots down, and changed it up just a little bit. I left my onions in chunky form (did not blenderize with the rest of the soup), added some pumpkin pie spice, instead of nutmeg. I also added a teaspoon of garlic...(or a few cloves cut up). I also threw in a few shakes of Herbs de Province, which I dearly LOVE! It was delicious!!! I did cheat and use canned pumkin, so I did not have to do any mixing...it only took 10 minutes to make! I think next time I will add cut up chicken in there for extra protein, but it definately did not need it at all flavor-wise...it was G-O-O-D!!!!! 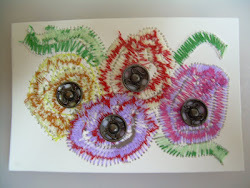 I was reading some blogs that were new to me the other day, and one blog called Dig,Grow,Compost, had posted pictures of patterns from nature! I really loved this idea, so decided to post a few my DAUGHTER took at Mounts Botanical last weekend! Enjoy! Teri, from Teri's Painted Daisies challenged us to try creating some leaves, which I did this morning at 5am, after being awakened by my little Doozey dog! Of course, she promptly fell back to sleep on the couch here next to me, while I am wide awake now at 7am! LOL. My leaves are just drawn and shaded with regular #2 pencil. I like my big maple looking leaf second best...my first best is the leaf in the top of the top picture! I was surprised at how much fun drawing leaves can be! I need to find time to do more, but it is hard for me to concentrate on it so completely as to do a semi-decent job!!! These leaves I found in 2 different books...not from nature. It is just starting to become light outside, so I was stuck looking in my books and magazines for inspiration! I found this plant over at the college here, but no identifying sign! It is really beautiful...just wondering if anyone knows what it is? Hope everyone had a good week! I did. 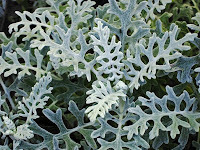 Glad it is Friday night though...so I can get on with my search for one of these plants! I have been kind of keeping my eyes open for the last few weeks, but have not had any luck. Summer is the season for blooming for these beautiful succulents, and yet I haven't seen any...hmmm...I wonder why??? We are watching the movie Moulin Rouge, done in 1952. I have not ever seen it, if you can believe that! TRUE. Just came home from a nice sushi dinner down the street! We have become addicted to sushi this last week! My daughter is enthralled with all things Japanese...so there we go! I really don't have anything to tell today...just wanted to say hi. In a large saucepan cook the onion in butter. Add pumpkin, potatoes, water, ground ginger, ground nutmeg and season with salt and pepper. While shopping in an antique shop here a few weeks ago, I came upon this tablecloth! I love old tablecloths! I usually only buy them if they can be used at holiday times, because otherwise I never have a cloth on the table (I have to be able to write at the table, and do projects of all sorts)! 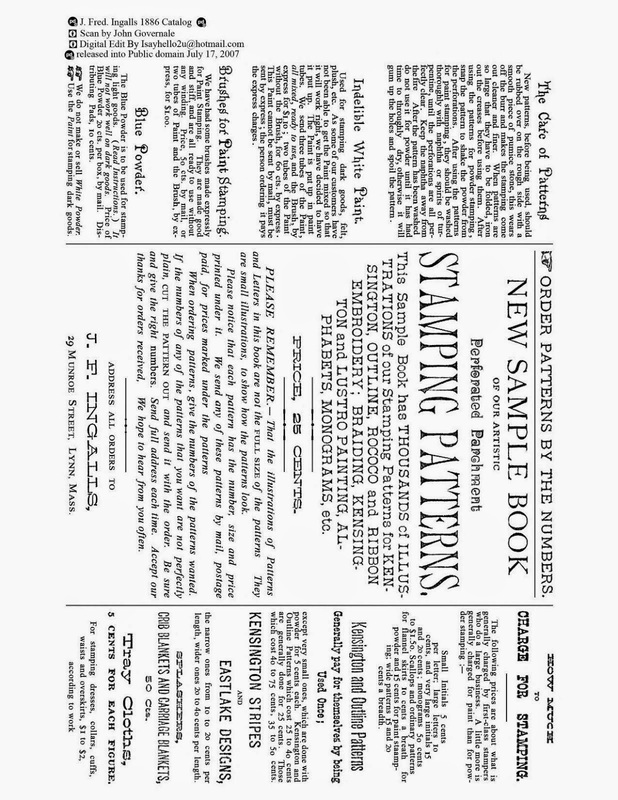 When do you think it was made? I am guessing in the 50-60's. I love the red poinsettias and candles, but my fav detail are the pinecones! Awesome...can't wait till Christmas now! We went to a show and sale on Sunday, at Mounts Botanical Gardens in West Palm Beach. 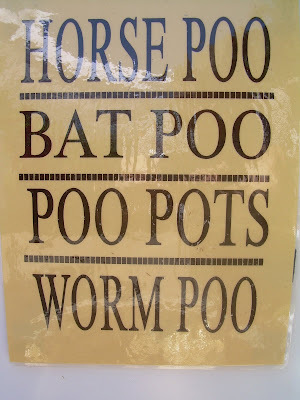 My daughter took a picture of the sign above, which I found uploaded into my laptop tonight...ain't it grand??? I think this is called an "umbrel" of blooms on a hoya (above). Just which kind, I have no idea, but isn't it just the sweetest??? My daughter shot this! OK...now my daugher took a pic of these orchid roots. I find them to be way more fascinating than the blooming end! Don't they just look "succulent" in nature? Why, yes, they are!!! LOL. The sad thing is that right now, this garden is just neglected so badly...maybe when it cools down the students can get out there and clean it up...or maybe the lady that overlooks it will let me go over there and play!!! Tonight as I was driving home, I remembered that I had seen this little opuntia growing in a row in front of this privacy fence...it needs to be cleaned out (weeds), but it is so adorable with it's little micro pads! 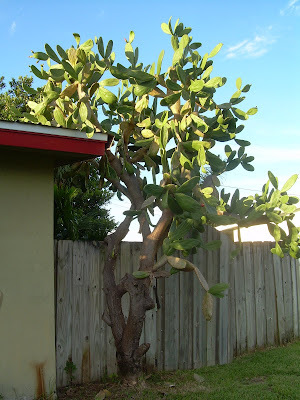 And one more pic that I found in my own neighborhood, a huge prickly pear (below) (thornless, actually) only about 5 houses down from mine! Everyone have a wonderful evening, and tomorrow!!! This twisty barrel cactus was made using Photo Shop Express...such a fun little feller! Happy Cactus Monday everyone! 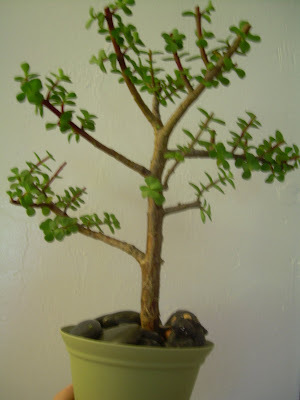 OK, I got my nerve up this morning, bright and early before it had time to get hot outside...and went to the tires and pulled out the big overgrown portulacaria afra to bonsai. Here it is in the tires. Voila...it's out and about to be placed in a pot. 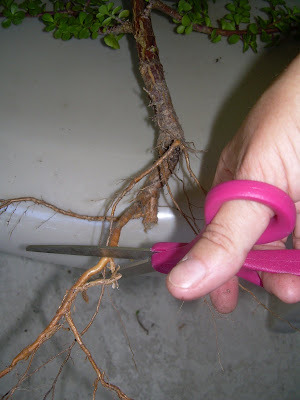 First I had to cut the roots, or so says my new bonsai book! SOOO...I did. 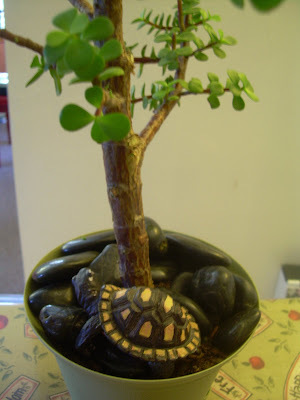 OK...in a pot, and I had to place big rocks around it to help support it until it got trimmed. I also had to use this Pothos to help me also, since no one else was around to. I started cutting, following the guide in my book, while trying to maintain a balanced look. It is cut now to a beginning state, where it can start to branch a bit, and I can continue cutting to make a bushier tree. This should be fun! Here is the pile of plant cuttings which I took back out and re-stuck into my tires...hey...free material for future bonsais!! Here is the finished product, for now! And a turtle added, for good luck! CACTUS MONDAY and my deer-faced Chihuahua!